Jamie L. Wilkins, OTR/L, is an accomplished Occupational Therapist specializing in pediatric care across multiple settings. 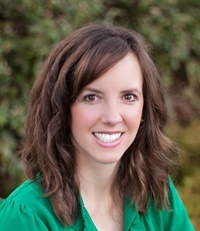 Her clinical expertise is focused on children and adolescents with autism and sensory integration. She earned her Master's degree in Occupational Therapy from West Virginia University. Jamie is a Certified Infant Massage Therapist and is Interactive Metronome Certified. She has presented nationally on topics such as Using Mobile Technology to Enhance Language and Learning in Children, Therapeutic Yoga and Handwriting without Tears. She currently practices at Cook Children’s Medical Center in Fort Worth, TX, where as a member of a multidisciplinary team she provides holistic evaluations and treatments for children 0-21 on the Rehabilitation and Transitional Care Units. She collaborates with teachers to establish IEPs in various school systems and is fluent in Spanish.